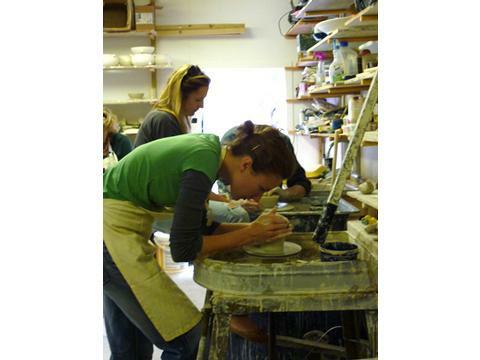 Learn some pottery skills on our one-day and long-weekend pottery workshops at Vinegar Hill Pottery in Milford-on-sea, in the New Forest, Hampshire. 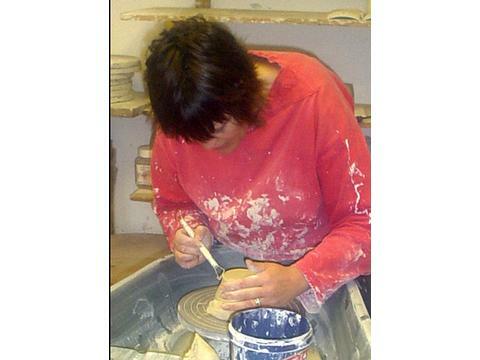 There are just six places on each pottery class giving the best opportunity to learn. We run one-day and long weekend pottery courses, non-residential for those living nearby, as well as residential - using our fabulous Milford B&B accommodation for those who want to make a trip out of it. 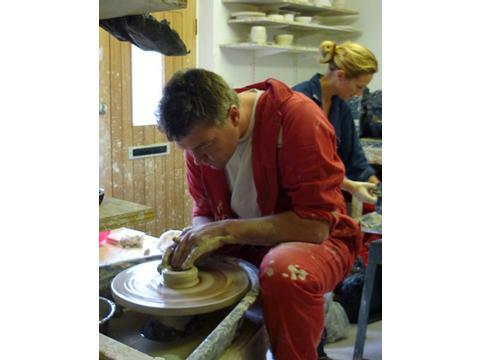 There are only six places per pottery course meaning we can tailor the classes to suit you, your level of skill and your creativity! 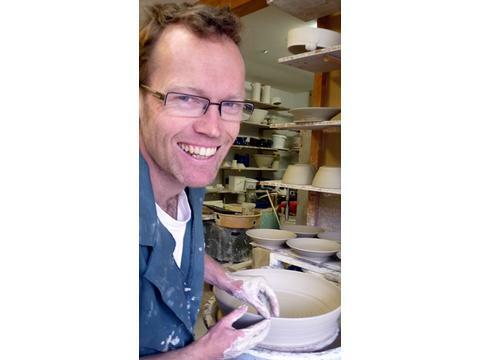 It doesn't matter how much potting experience you have - total beginner or happy hobby potter Dave has plenty of time to tutor each individual, and so the making schedule can be flexible. As Dave is a thrower a large part of the pottery workshops will be spent on the wheel learning the different techniques, with some hand building as well. £95 for the pottery day including homemade cake, tea and coffee at elevenses, and a hearty two-course home cooked lunch. Included in the price, Dave will fire and glaze three of your pots ready for collection. There is an extra charge for postage. 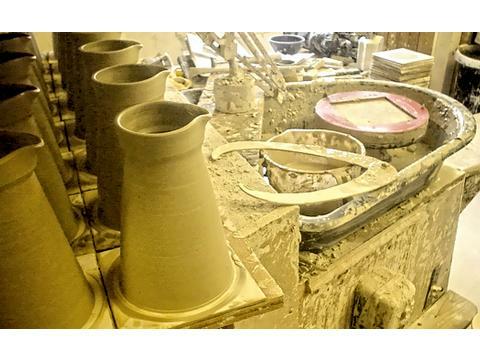 Long pottery weekend: (3 days tuition, breakfast, lunch and 3 nights accommodation). £375 per person including B&B in the hayloft, or Rosie tuition, tea and cake, lunches & materials. All raku fired pots are included in the cost. For any other pots to be fired (twice) and glazed after you leave is £4.50 per pot. For B&B in the Garden Room the total cost is £400 per person. These prices are based on two people sharing a room. 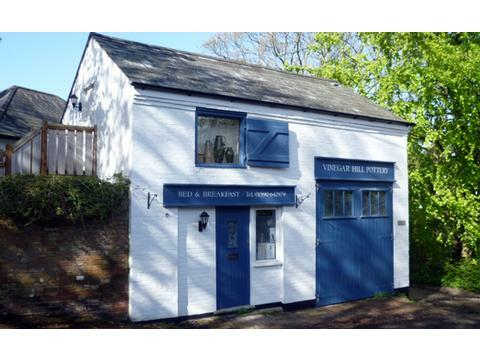 Non Residential: £90 per day including, tea and cake and a delicious two-course home cooked lunch.